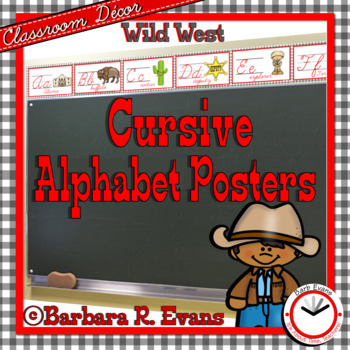 This Wild West Cursive Alphabet provides educational decorations for your cowboy themed room. 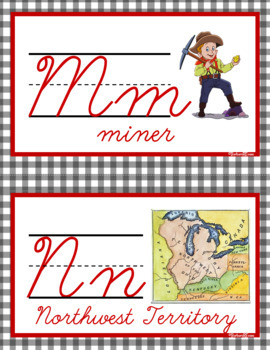 Both upper and lower case cursive letters are provided on writing guidelines. Each poster bears a western icon or concept aligned to the letter and labeled in cursive. Thus, these posters also promote content vocabulary. 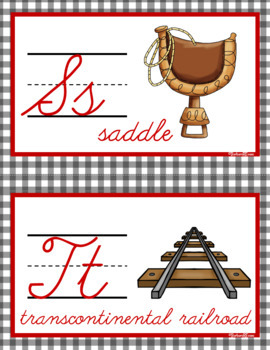 The alphabet posters are formatted to be 5.5” x 8.5”. Thus, there are 2/page. 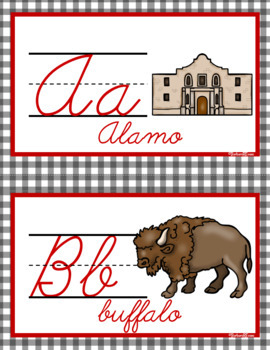 Print them on cardstock for durability. • Wild West Hink Pinks, et al. •	Please go to your My Purchases page (you may need to login). Beside each purchase you'll see a Provide Feedback button. Simply click it and you will be taken to a page where you can give a quick rating and leave a short comment for the product. Your feedback is important to me. Thank you in advance. •	Look for the red star near the top of any page in my store and click it to become a follower. You will now receive customized email updates about this store.